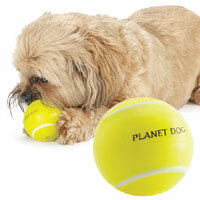 Planet Dog Cosmos dog balls are out of this world! With the highest "chomp" rating, they can withstand even the most extreme chewing. Yet they are also soft and squashy, which dogs adore. 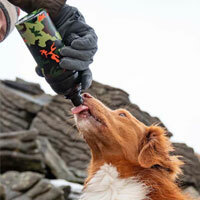 Add the Orbee-Tuff minty scent and you have a winner on your hands that your dog won't be able to resist. 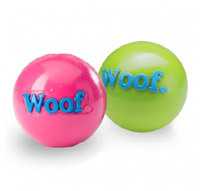 There are 3 durable Cosmos dog balls to choose from. 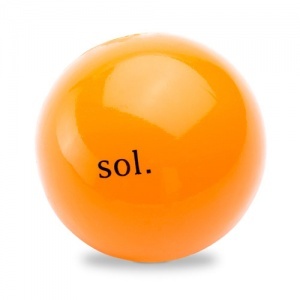 Sol is translucent orange and is 5" so it is perfect for larger dogs. 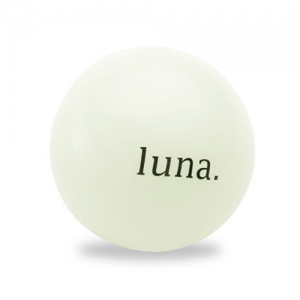 Luna represents the moon, is 4" and glows in the dark. 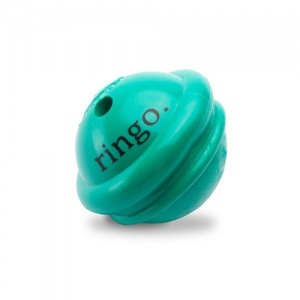 Finally, Ringo is a cosmic green 3” ball with a Saturn-like ring for an erratic bounce. "Treat spot" holes mean you can pop some treats in and ramp that fun up a notch. 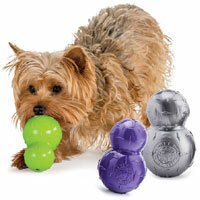 All these balls are surprisingly light and squishy yet chomp resistant. 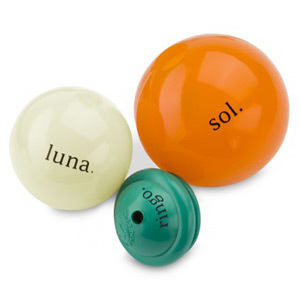 The sky's the limit with these durable, bouncy, buoyant and minty planetary orbs. Like all Orbee-Tuff toys, they are also recyclable, non-toxic, rinse clean and 100% guaranteed. 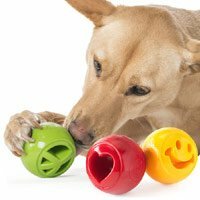 These toys are rated 5 out of 5 Chompers and can therefore withstand extreme chewing. I have a Toller who loves to have a good chomp on this toy after a run. Although it is rated 5 out of 5 on the chompers scale, he did manage to nibble a small nick out of it. When I contacted the company, they were true to their word & very generously sent out a replacement! I highly recommend Orbee products, as that has been the only issue I've ever had & that's with all three of my dogs chewing on each other's toys!